Karol Beffa, born in 1973, had a general education along with music studies after having been a child actor between the ages of seven and 12, appearing in more than 15 films (in particular, he performed with the Piccolo Teatro di Milano under the direction of Giorgio Strehler and portrayed the 8-year-old Mozart in a television film by Marcel Bluwal). Top of his class at the Ecole Normale Supérieure in Paris, he read history (Bachelor’s degree), English (Master’s), philosophy (Master’s at Cambridge University) and mathematics, graduating from ENSAE (Graduate School of Economics, Statistics and Finance). Enrolling at the Paris Conservatoire in 1988, he obtained eight premiers prix (harmony, counterpoint, fugue, 20th-century music, orchestration, analysis, vocal accompaniment, piano improvisation). Coming first in the Agrégation d’éducation musicale, a highly competitive examination for teachers, he taught at the Sorbonne (1998-2003) then at the Ecole Polytechnique (2003-08). In 2003, he earned his doctorate in musicology with a thesis on György Ligeti’s Piano Etudes. Since 2004, he is an Associate Professor at the Ecole Normale Supérieure. Pianist and improviser, Karol Beffa is a composer whose works have been performed in France (Salle Pleyel, Théâtre du Châtelet, Théâtre des Champs-Élysées, Auditorium Olivier Messiaen…), Germany, Italy, Great Britain, Russia, the United States and Japan by such well-known ensembles as A Sei Voci, Maîtrise de Radio France, Cambridge Voices, and the leading orchestras (Orchestre Philharmonique de Radio France, Orchestre National de l’Opéra de Lyon, Saint Petersburg Philharmonic, London Symphony Orchestra…). In 2000, the Turin International Biennale of Young Artists (BIG Torino 2000) selected him to represent France, and in 2002, he was the youngest French composer programmed at the Présences festival. Since then, he has been guest composer at numerous festivals: Musique en Tréfilerie, Juventus, Bel-Air (2004, 2005), Périgord Noir Festival (2005, 2006), Suona francese, Auvers-sur-Oise, Pianissimes (2008), Young Talents, Les Vacances de Monsieur Haydn (2009), Voix du Printemps at the Sorbonne and ’Annecy Classic’ (2010). In July 2005, his oratorio-ballet on the life of Mary Magdalene was performed on three occasions in Provence. March 2006 witnessed the first performance of a piece by the Orchestra of Pau, conducted by Fayçal Karoui: this was the first time in France that a public subscription was launched to commission a musical composition. 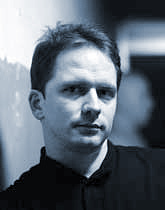 As composer-in-residence of the Orchestre National du Capitole de Toulouse (2006-09), Karol Beffa wrote Paradis artificiels (2007), a Violin Concerto, premiered by Renaud Capuçon (2008), and a Piano Concerto, first performed by Boris Berezovsky (2009). In September 2008, his Trio for Flute, Viola and Harp was premiered at the Berlin Philharmonic Hall, a joint commission by Marie-Pierre Langlamet and the Berlin Philharmonic Foundation. In April 2009, his String Quartet was given its first performance by the Capuçon Quartet in Madrid. In addition, he has composed two incidental scores as well as the music for 12 films. Karol Beffa is a fellow of the Institut de France in composition and won fellowships from the Lili and Nadia Boulanger Foundation (2001), the Music Academy of Villecroze, Natexis Foundation (2002) and Les Muses fellowship (2004). Finalist of the Prades International Composition Competition (2005, 2007), he has won the Charles Oulmont Prize (2005), the SACEM Young Composer Competition and the Chartier Prize of the Académie des Beaux-Arts (2008). In 2009 and 2010 he was one of the three nominees for the Victoires de la musique award in the Best Composer category. Finally, he was named a Chevalier des Arts et des Lettres and is Chair of Artistic Creation at the College de France. - CD release: Concerto for trumpet and strings, by the Orchestre d’Auvergne and Romain Leleu (trumpet), under the direction of Roberto Forés Veses, for the label Aparté (AP103). - CD recording: Concerto for violin and orchestra, and Concerto for piano and orchestra, by the Bratislava Radio Orchestra, with Geneviève Laurenceau (violin), Boris Berezovsky (piano), under the direction of Johan Farjot. - CD release: Concerto for trumpet and strings, by the Orchestre à cordes de la Garde Républicaine and Eric Aubier (trumpet), under the direction of Sébastien Billard, for the label Indésens (INDE071). - CD release: Five O’clock for wind quintet, by Klarthe Quintet, for the label Klarthe (K004). - Monographic CD release: Concerto for trumpet and strings, by the Orchestre à cordes de la Garde Républicaine, with Eric Aubier (trumpet), under the direction of Sébastien Billard, Eloge de l’ombre for harp, Blow up for piano and wind quartet, Paysages d’ombres for flute, viola and harp, Subway for trumpet and piano, and Fireworks for saxophone quartet, for the label Indésens (INDE082). - CD release: Concerto for trumpet and strings, by Guy Touvron (trumpet), for the label Ligia Digital - LIDI0105316. - CD-book release: Le Roi qui n’aimait pas la musique, text of Mathieu Laine, by Renaud Capuçon (violin), Edgar Moreau (cello), Paul Meyer (clarinet) and Karol Beffa (piano), by Gallimard jeunesse. - Grand Prix Sacem of symphonic music 2017. - Victoires de la Musique Classique 2018: Winner Composer. 16/03/2017: Radio France - Paris - France. Monographic CD release: Douze études for piano, by Tristan Pfaff, for the label Ad Vitam - AV 180915.